I’ve been hopping on the eco train quite a bit lately. Between swearing off fast fashion, and reducing my participation in single-use plastic utensils, I like to fancy myself a bit of an environmental enthusiast. However, there’s one environmental impact that I haven’t discussed yet and that’s food supply - specifically animal agriculture. The American animal agriculture industry has been under quite a bit of criticism since the release of Cowspiracy, especially for its inhumane treatment of animals. And not only is it inhumane, it’s detrimental to our environment. Animal agriculture produces an incredible volume of air pollutants, such as particulate matter, ozone precursors, and greenhouse gasses . However, it’s difficult to associate adorable, fluffy little chicks we coo over, with the dino nuggets we chow down on at 2 am. It’s also hard to cut out animal products all together when they’re way more affordable due to government subsidies and more convenient. Between breakfast cereal and pre-prepared foods, it’s incredibly difficult to find plant-based substitutes at the same cost of their animal-based counterparts. Vegetarianism has been around since Pythagoras (I kid you not), but was regarded as a relatively alternative lifestyle until the publication of Frances Moore Lappé’s Diet for a Small Planet in 1971. However, the lifestyle change to a completely vegetarian or vegan diet is difficult when those dino nuggets taste so good. Also, it’s not feasible for everyone - especially those with health problems. Enter: gradually introducing plant-based diets. Instead of trying to switch over to the green side in one fell swoop that inevitable ends in failure, making a gradual lifestyle change incorporating more meatless Mondays, and eating lower of the food chain is a much more sustainable way to go over to the green side. It’s all about the little changes, like ordering a tofu stir-fry, rather than the chicken one. I don’t live a completely plant-based lifestyle, nor do I ever truly think I will make the transition to live one. The food I’ve known to grow and love, and is a part of my identity and culture, is meat-based. However, I don’t think that it’s necessarily a bad thing. Just staying mindful of what we put into our bodies and how it got onto our plates is important. Going green doesn’t mean you have to be perfect. Any effort, big or small, is better than none at all. If you’re hungry, eat more. Plants-based meals generally have fewer calories than animal-based ones do. So if you’re hungry, just eat more! If your plate is full of vibrant produce, eating that second serving won’t hurt. The fiber content in vegetables and fruit is unreal, so let this be a warning to you now. You will bloat. A lot. I sure as heck did. Be sure to drink a lot of water to allow things to, uh, pass through a little easier. Especially if you’re going all day without eating any animal products. B12 is a vitamin essential for red blood cell formation, neurological function and DNA synthesis . It’s commonly found in animal products, but is harder to find in plant-based ones. Either a b12 supplement or some nutritional yeast can help combat a b12 deficiency. Since this community has grown so incredibly much within the past six months, I felt like it was appropriate to start getting a little bit more intimate with each other. There’s a line of privacy that I find important when sharing one’s life on the internet, especially when there are academic pursuits involved. However, it felt almost selfish and inappropriate not to provide my insight on life - especially if it helps make people feel less alone and further understood. So I decided to start Q & A sessions - hopefully, these will become a regular thing on the blog. If you have any questions that you’d like answered on the next installment, please leave them in the comments down below, or DM me on Instagram (@TheSeoulSearch). 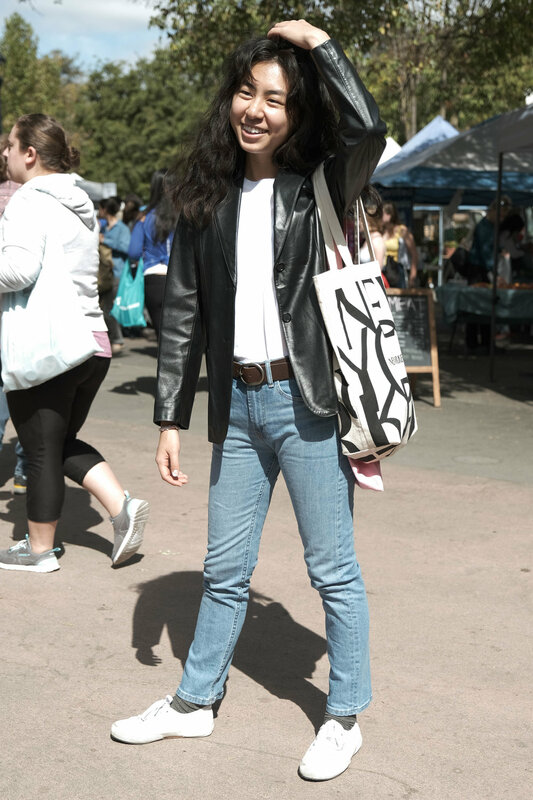 Are you happy you chose to transfer to UC Davis? Yes! I really appreciate this school and community’s commitment to sustainability and being environmentally thoughtful! Between the weekly farmer’s market and grocery co-op, as well as the ease of biking around town, I’ve been able to reduce my waste and carbon footprint quite a bit. Having a lot of green spaces, such as the Arboretum, to clear my head or just get some fresh air has also been quite lovely. Of course, there’s more to transferring to Davis than the environmental aspects. The physics department is quite robust, in fact, much more robust and tight knit than what I had expected. The professors and TA’s have both been incredibly kind and willing to help. The physics department at Davis has the same homey feel as the physics department at my community college. The primary difference has been the size. What’s the most challenging part of transferring from a community college to a UC? The quarter system - undoubtedly. I’m not quite sure what it is about the quarter system, but it feels much more panicked and rushed than the semester system did. Although the volume of information covered over the course of a year is the same, I feel like the semester system was less stressful. What are some things being away from home that you didn’t expect? How difficult it is to feed yourself consistently!!!! Because I chose to stay at an apartment, rather than the transfer dorms, I’ve been having a surprisingly difficult time remembering to feed myself. The duties involved in having a meal becomes wholey thrust upon you - no longer can I meander down the stairs to find my mother’s cooking. From grocery shopping, preparing, and washing up, all of those tasks are now up to you. There’s no one there to remind you to eat, when it seems like it’s been too long. I’ve started to meal prep, which has made it a little bit easier, but it’s still a work in progress. Honestly, I wish I could provide some insight but I can’t. I run myself to the ground until I have an existential crisis, cry in the shower, then do it all over again. I have found, however, that practicing self care and uni-tasking has significantly helped me feel less panicked. I want to help shape the landscape of STEM education in the United States and be an educator in some capacity. I don’t necessarily think that it’s going to be in a traditional medium (ie. teaching in a physical classroom full of 50-ish students), but I want to create and develop a platform that makes high quality STEM education accessible to everyone. If you have questions that you want me to answer next time, please leave them in the comments down below! Midterms season is finally upon us. Between morning, afternoon, and late night cramming sessions, it’s hard to find time to breathe. 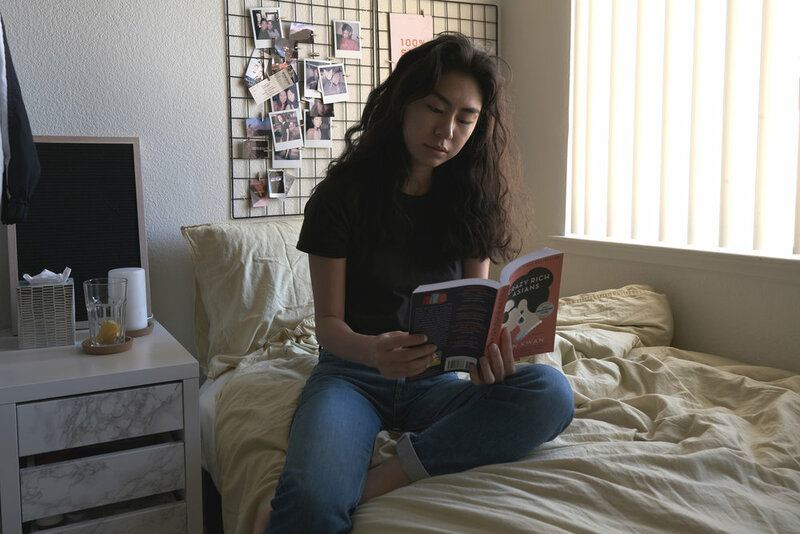 Here are a few ways to make your week of cramming slightly less frantic, and a little more productive. in Davis, with 80 degree highs all week. However, the mornings have been on the cooler side and I took the opportunity to dress a little more seasonally appropriately. If you want to get started with creating a budget for yourself, and don’t know where to start, here’s a quick-start guide. 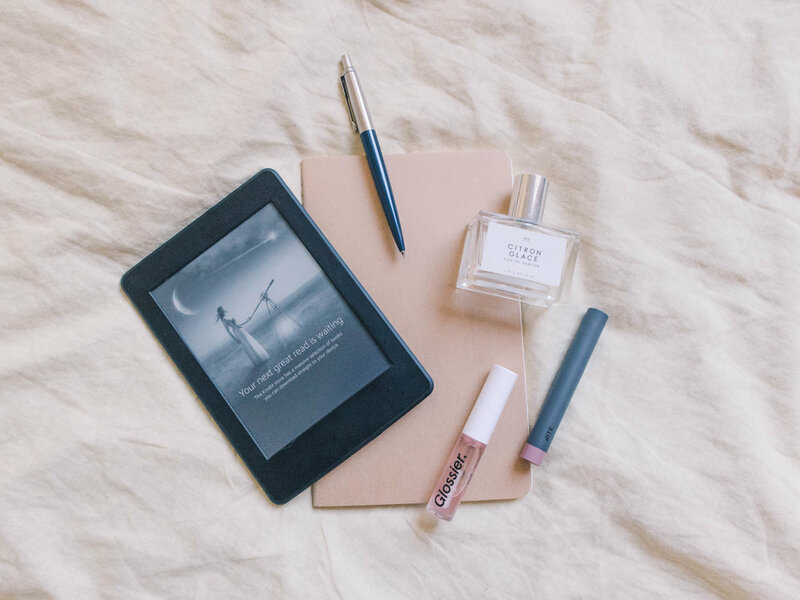 Reading has always been my favorite pass time, so I wanted to share a few of my favorite books with you. I don’t necessarily want to break up with social media permanently. I just want to be less of a stage-four-super-clinger girlfriend to Instagram and YouTube and create a healthy distance between us. Be a little less codependent. All the good things I’ve been indulging in for the past 30 days. In order to prevent the quarterly existential crisis in the middle of finals week (for the third year in a row), I’ve decided to be proactive this school year and implement a little bit of self care every single day. Got irritated skin? Love skincare? Need something to read to avoid talking to your uber? This one’s for you. 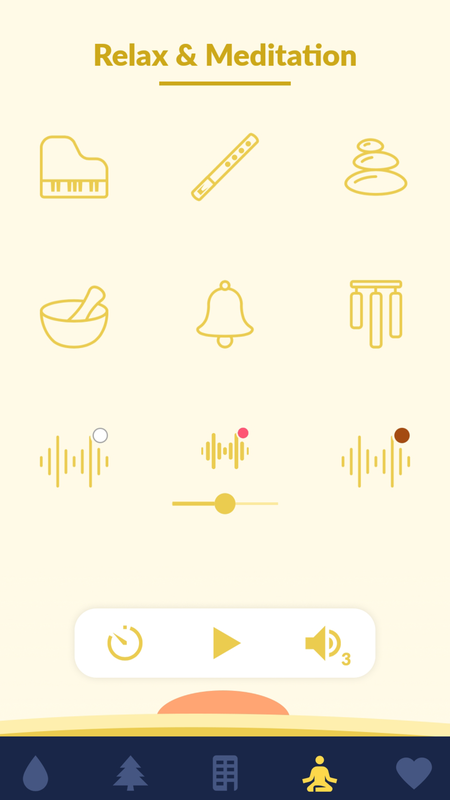 Sleepo is an application that provides soundscapes to help you fall asleep, study, relax, or meditate. You can create your own mixes, or use presets, such as "rain in the woods" or "winter camping." Coffitivity is another soundscape service; however, this one specializes in coffee shop ambiances! It claims (with peer reviewed research!) to "help boost creativity and help you work better." I can say that it has definitely helped me! Space is the perfect app for anyone with a cellphone addiction. It's not that we necessarily want to break up with Instagram; we just want to be a little less clingy. Space analyzes your phone addiction and sends you little reminders when you've been glued to your screen for too long. It's personalized, too! Stop, Breathe & Think is my favorite guided meditation app. It's free (although there is a premium options - not that it's necessary to have a full and enriching experience), and their mission is to bring mindfulness and meditation everywhere. Stop, Breathe & Think also shares revenue with a non-profit providing mindfulness training and meditation to at-risk youths. Forest - an oldie but a goodie. This adorable little application makes the Pomodoro technique fun and rewarding! 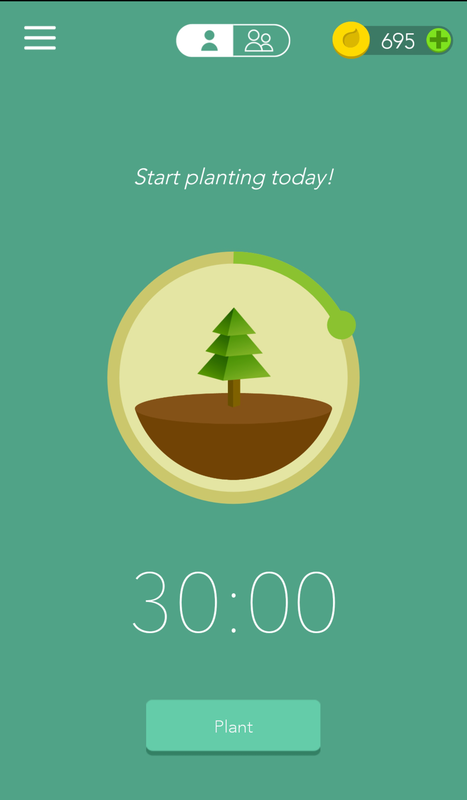 You set a timer and "plant" trees during your study session. This is the perfect application for anyone with a phone or Reddit addiction who needs to get studying. GoodNotes4 is my choice app for paperless education. I've tried nearly every paid and free option on the market and can say that nothing else compares. 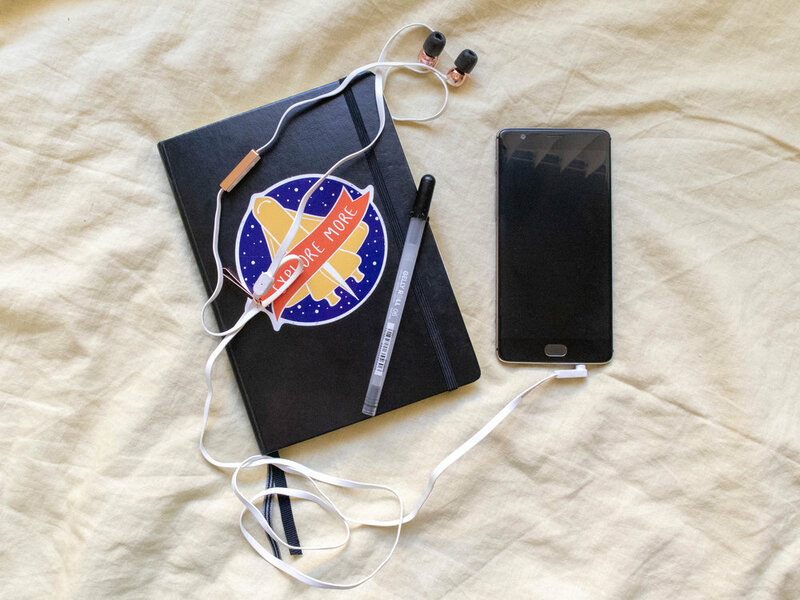 Not only is GoodNotes 4 great for digital note taking, it's also formatted so you can print your notes and save them for later. There's no point in studying so hard if your body isn't going to make it to the end with you. The Nike Run+ and Training Club apps have been a huge part of my physiological and psychological wellness, especially during the school year. You can create customized training plans that suit your lifestyle. The best part is that it's free. What are your favorite productivity apps? Let me know in the comments down below!